Shropshire’s first Holiday Brownie experience ran last week at Attingham Park. Following similar successful programmes by other counties Holiday Brownies gives girls who are on a waiting list for a space at Brownies the chance to see what being in a brownie unit is like. 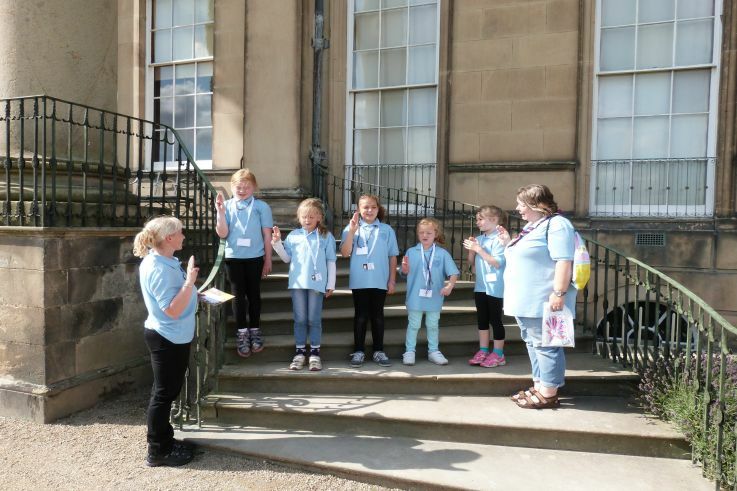 The girls spent three days learning about the Brownie programme, taking part in a range of activities and made their promise to be enrolled as brownies. Shropshire will be running another Holiday Brownie day in the Christmas school holiday – get in touch if your daughter would like to attend.